Tonight begins Purim! Known as Judaism’s most joyous festival because it celebrates the salvation of the Jewish people by Esther. It’s best described as a mix between Halloween and Mardi Gras, so you already know it’s a good time! Purim typically falls around March, and it is the perfect holiday to celebrate the coming of spring after a long winter (a common theme in many religions). The events in the Book of Esther are the ones that inspired the celebration of Purim. The long story short goes like this: Esther is a beautiful and smart Jewish woman who marries the king of Persia, Ahashverus. She thwarts the anti-Semitic schemes of one of this royal councillors, Haman, and saves her people from certain destruction. Fun fact: it is one of two books in the Bible that does not once mention the name of God. 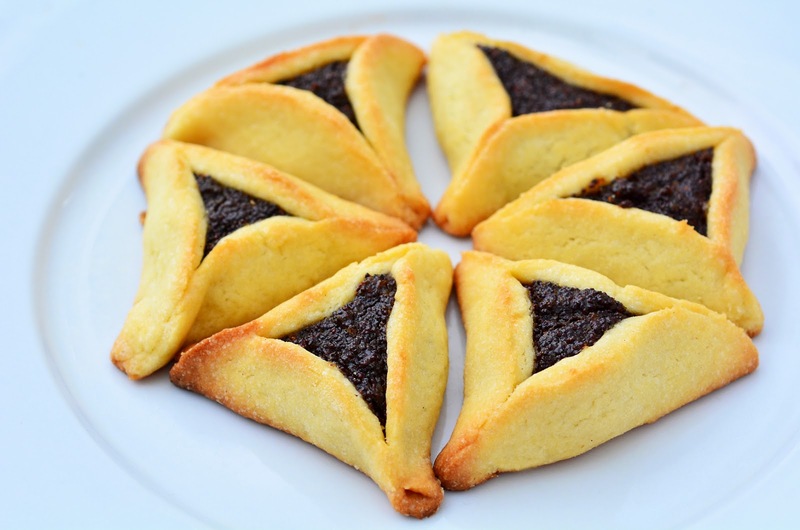 The typical food for Purim is called hamantashen (Haman’s pockets); they are triangular cookies filled with jam or other sweet fillings. FYI, Whole Foods has these sometimes and they are super yummy! Read more: Recipe for Haman’s Pockets from the blog Herb and Legends.